What does it take to bring 7 million American Muslims Islamic finance? Maybe training only 100 prominent religious leaders as a small first step. That is what the founding members of the American Islamic Finance (AIF) Project have now successfully accomplished. Jointly founded by Ethica Institute of Islamic Finance, Guidance Financial, and the Islamic Society of North America, the AIF Project seeks to promote standards-based Islamic finance among Muslim communities in North America. Ethica’s two-month imam training program looks to become an annual event. The program was successfully completed this month after Ethica delivered a rigorous blend of e-learning, including case studies, exercises, and exams, in addition to intensive classroom instruction. With fewer banks and universities opting for face-to-face training, and more institutions adopting the increasingly popular e-learning option, Islamic finance is set to become more accessible to countries outside of the Gulf. 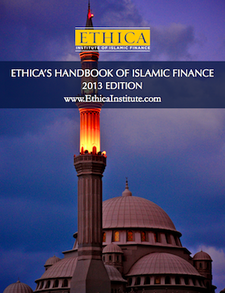 With over 20,000 paid users in more than 40 countries in 2011, Ethica (http://www.EthicaInstitute.com) is the world’s leading accredited Islamic finance training and certification institute, with more learners than any other Islamic finance organization in the world. Ethica remains the only institute in the world to deliver standardized certification based entirely on the Accounting and Auditing Organization for Islamic Financial Institutions (AAOIFI), the leading standard-setting body in the industry. Guidance is the leading US provider of Sharia-compliant home financing with over $2 billion in home financings. It is a subsidiary of Guidance Financial Group, an international company dedicated to serving the market for Sharia-compliant financial products and services. Guidance Financial Group offers unique investment products to institutional investors and financial intermediaries worldwide, and provides financial services to its retail customer base in the United States. ISNA is an association of Muslim organizations and individuals that provides a common platform for presenting Islam, supporting Muslim communities, developing educational, social and outreach programs and fostering good relations with other religious communities, and civic and service organizations. For more information about this article, or to schedule an interview with Ethica Institute of Islamic Finance, please e-mailcontact@EthicaInstitute.com. This entry was posted in Mufti Taqi Usmani, Scholars, Training and education and tagged Ethica, Islamic Banking, Islamic finance, Taqi Usmani. Bookmark the permalink. But who accredits ETHICA ? Are these qualifications worth having in the absence of any external body providing proof of quality control. Will these imams have any reason to believe that the Islamic finance industry sees the qualification as having any value. I wonder ??? ?